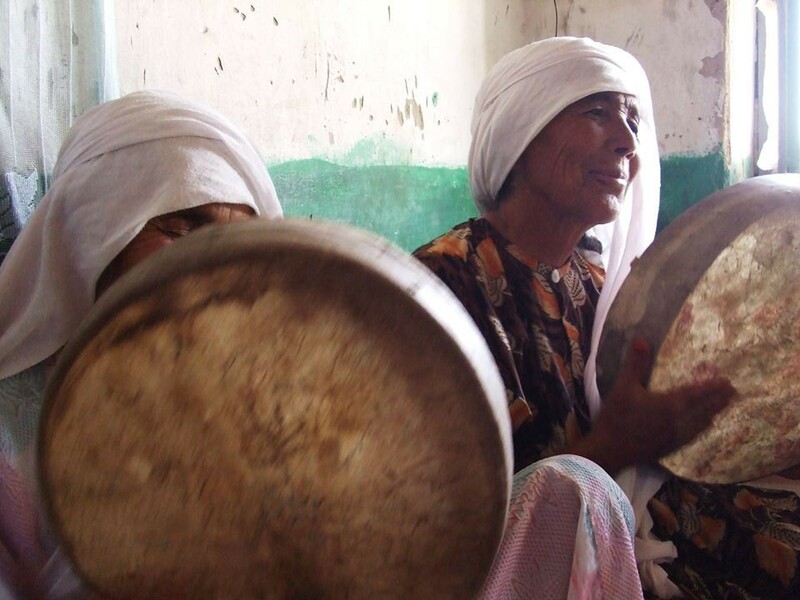 Women in Kunduz singing folk songs many of which are about child and forced marriages (2008). In 2013, I was traveling in rural Faryab and Balkh provinces in Afghanistan as a freelance writer for Save the Children. While documenting the organization’s excellent work in providing Afghans with resources, skills, disaster relief and other needed services, I realized that insecurity and Taliban activity was on the forefronts of people’s minds. Traveling to areas like Pashtun Kut, which was at the time virtually run by the Taliban, I learned that the more violent the Taliban became and the more their terrorist activities were covered by the media, the more obedient and submissive local communities were. Even if they disagreed with the radical perspectives and methods of the terrorist group, as most Afghans do, out of terror, many families and villages submitted to their demands. My biggest takeaway from the trip was that terrorists win by making people believe that they have no choice but to accept them and their most important tool in this mission is the media. One of the ways in which they have done this in the past years is increased suicide attacks and assassinations of local leaders to get media attention. The Taliban have also learned that their activities will not make a splash in international if they kill a small number of Afghans in some remote area. This is why their attacks are focused on Kabul and other big cities and so often target areas that are occupied by international individuals. They know that Afghan lives are valued less than the lives of foreign aid workers and their loss is less likely to be covered by our biased media, so they have increased their attacks on restaurants and high-income areas where foreigners are more likely to live. Despite all this Afghans are finding ways to take the mic away from the Taliban, Daesh and other violent groups by speaking up in peaceful ways and providing a new narrative of Afghanistan. In 2015, the beheading of seven Hazaras by Daesh in Afghanistan led to the largest protests in the country in over a decade. Afghans of all ethnic groups took to the streets in Kabul, Nangarhar, and even Zabul, where the Harazas were killed, to raise their voices against terror and ethnic hatred and demand security and justice from the government. The noticeable participation of women and non-Hazara Afghans in the protests sparked hope among many as a sign of progress and the country’s unity against terrorism, but these public demonstrations are only one of the ways in which Afghans are fighting radicalism. Sports are a new venue for promoting national solidarity and peace in Afghanistan. Just this week, Afghans gathered on the streets around the country to celebrate the national football and cricket teams’ success. Even though men in these events fired shots in celebrations, the unity around these games is heartwarming. When it comes to sports teams, ethnic barriers melt away and all Afghans stand for their teams regardless of the the team’s ethnic composition. However it is not just men’s sports that is making a difference. While the Taliban were taking over Kunduz last year, in Kabul two female football teams were competing at an exciting game. Dozens of women and men watched the game. Not so far from the field is located the stadium previously used by the Taliban to publicly execute women without trial for “crimes” such as adultery. When Afghans attend these events and come together, despite the ethnic banter by politicians and terrorist groups, they are resisting radicalism and war. Instead of staying inside their homes out of fear that the Taliban might take over again or attack public events, Afghans are celebrating life and participating in activities radicals have declared haram. Needless to say, the media covers these games widely and Afghan artists have made popular songs to encourage Afghan athletes. Every minute of air wave dedicated to these events, is minutes taken away from Taliban and Daesh. In the recent years, art has become another venue for peaceful expression, for occupying public spaces and taking it back from terrorists. Art Lords, an Afghan graffiti group that covers the walls of Kabul with messages of peace, anti-corruption and progress, have made a name for themselves in the country and globally. Art exhibitions, concerts, Afghan Star, music-accompanied marches for peace are all not only making news and taking center stage, but also creating hope for Afghans. The fact that the controversial Afghan Star TV show continues to have female contestants and millions of viewers is a testimony to how hungry Afghans are eager to create and listen to a story other than that of the Taliban and Daesh. In the face of radicalism, Afghans are not doing anything radical to protest. They are resisting simply by living life. When suicide attacks happen, the streets are not empty the next day. When girls are poisoned at schools, the classrooms are filled with chatter the next day. When the Taliban ban music in rural areas, local weddings continue to have musicians that fill entire villages with the sounds of Tabla and Harmonia. This type of resistance is not easy in Afghanistan. Going to school, taking a walk, speaking up, or doing any other of these ordinary things can come at too high a cost. This is why they need to be written and talked about more and national and global media needs to highlight them more. When we ignore the Afghans who are endangering their lives to move their country towards progress, we marginalize them. By focusing solely on stories about the Taliban and Deash, we ignore the stories of the everyday folks who are using their pens and cameras to stand up against tyranny. In their music and dance, arts and sports, and everyday lives, Afghans are rejecting the Taliban and telling the world that they do not want them back, but will the world listen? About the author: Noorjahan Akbar is an out-spoken women and human right’s advocate from Afghanistan. She has worked with several Afghan and global organizations focusing on women’s issues and led national campaigns in defense of human rights. Noorjahan has been published on Al Jazeera, and Safe World for Women among other outlets. In 2013, she published a collection of Afghan women’s writings. Currently, Noorjahan runs Free Women Writers, a national blog focused on gender equality and social justice. I drink green tea. I write about gender. I travel when I have $$. Alum of @AmericanU, @DickinsonCol & @GeorgeSchool. Read my stuff on freewomenwriters.org.